Rachel Brem was only 12 when her mother got the news: She had breast cancer, and doctors estimated she had six months to live. “I had decided at that point that I really wanted to make sure that no other 12-year-old — and I had a 5-year-old brother and a 14-year-old brother — no other child our age would have to go through what we went through,” Brem said. 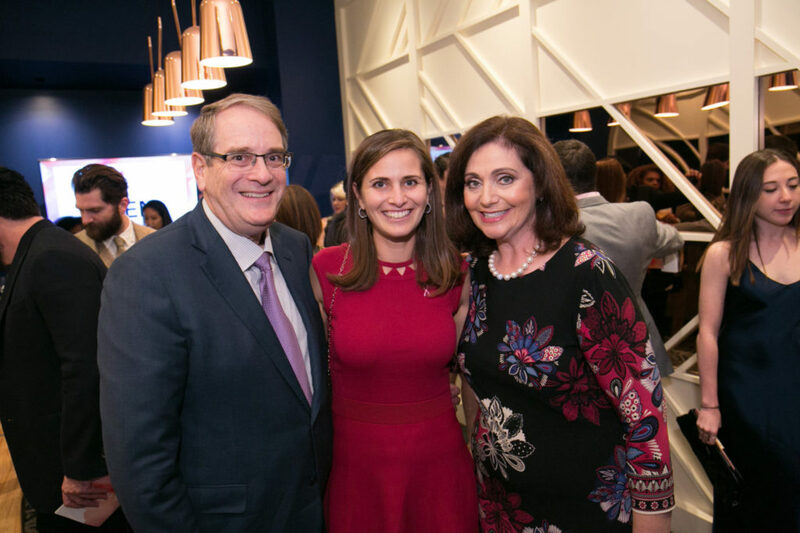 Brem’s mother ended up living for another 43 years, but the experience inspired Brem to pursue a career in medicine and dedicate her life to breast cancer. At the age of 16, she enrolled at Brandeis University, then went on to attend Columbia University Vagelos College of Physicians and Surgeons. 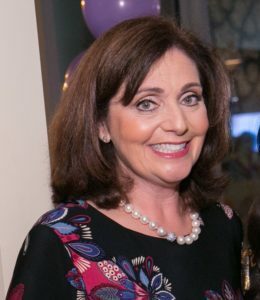 Today, she said, her “day job” is working as the director of the Breast Imaging and Intervention Center and the program leader for breast cancer at George Washington Cancer Center, while her “night job” and passion is the Brem Foundation, where she is the chief medical adviser and founder. The Brem Foundation has educated thousands of women about risk factors, screening options and the need for self-advocacy. The organization works to help uninsured and low-income women afford their diagnostic tests and operates a fellowship program that trains physicians to specialize in breast imaging. The Brem Foundation encourages women to take control of their breast health and feel empowered. Early next year, the Brem Foundation will have an educational event at Congregation Beth Or in Maple Glen. Rachel Brem is chief medical adviser and founder of the Brem Foundation. Brem entered the medical field in the ’80s, an exciting time to do so, she said. The first compressive mammography machine was invented in 1966, and mammography was just starting to get big, so Brem pursued radiology and breast imaging. She continued on to train at Johns Hopkins University Hospital in radiology and breast imaging, then joined the breast imaging team there. At 37, Brem was working as the director of breast imaging at Johns Hopkins, with three daughters of her own. One day, after all the patients had gone home, she decided to test out a new piece of equipment on herself to check out the image quality. She ended up discovering she had breast cancer. Her own experience highlights the importance of early detection. It provides her with a perspective many doctors don’t have. Wolf also had mastectomies, though she never developed breast cancer. When she was 22 years old, she learned that she was positive for the BRCA1 mutation, a genetic mutation disproportionately common among Ashkenazi Jews that is linked to breast and ovarian cancers. She didn’t want to become the third generation in her family to develop breast cancer, so she had prophylactic double mastectomies at age 30. “Everybody’s journey is different,” Brem said. “Everybody’s reaction is different. During a conversation with one of her patients about the difficulty some of the women had in obtaining the care they needed, the patient said she would work to find a way to provide for them, leading to the creation of the Brem Foundation. “It was just a beautiful can-do attitude of, whatever it is that we need to save lives, we’re going to do,” Brem said. Though she’s technically the founder, Brem said it was really a group of patients who put the gears in motion for the Brem Foundation. Since its founding in 2006, the organization’s mission has developed into what it is today. Despite breast cancer being a well marketed disease, many people don’t know what they need to help themselves, Wolf said. There’s also a lot of confusion and conflicting recommendations about when to start screenings and how often. The Brem Foundation believes that there’s no one-size-fits-all answer. Recommendations vary based on risk factors, such as family history and dense breast tissue. There also are different tools to screen for breast cancer. A woman with dense breast tissue, for example, might need both mammograms and ultrasounds to screen for breast cancer, Wolf said, but would need to know that and ask for it. Recently, the Brem Foundation added three new staff members and, in the next few years, plans to increase the number of women it reaches by 300 to 400 percent.